Sarah R. bin Tyeer is a Research Associate in the School of Oriental and African Studies at the University of London, UK. Her recent publications include essays in the volumes : Qur’an and Adab : The Shaping of Classical Literary Tradition, The Beloved in Middle East Literature : The Culture of Love and Languishing, and The City in Premodern and Modern Arabic Literature. This book approaches the Qur’an as a primary source for delineating the definition of ugliness, and by extension beauty, and in turn establishing meaningful tools and terms for literary criticism within the discipline of classical Arabic literature (adab). 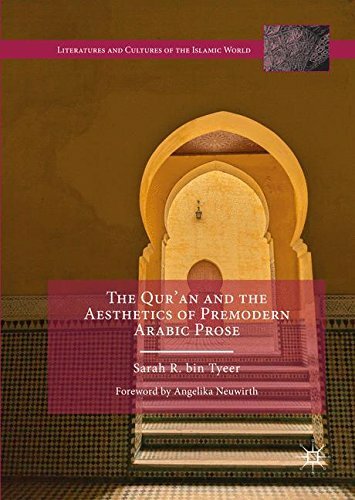 Focusing on the aesthetic dimension of the Qur’an, this methodology opens up new horizons for reading adab by reading the tradition from within the tradition and thereby examining issues of “decontextualisation” and the “untranslatable.” This approach, in turn, invites Comparatists, as well as Arabists, to consider other means and perspectives for approaching adab besides the Bakhtinian carnival. Applying this critical strategy to literary works as diverse as One Thousand and One Nights and The Epistle of Forgiveness, Sarah R. bin Tyeer aims to prove two major points : how Bakhtin’s aesthetics is anachronistic and therefore theoretically inappropriate when applied to certain literary works and how ultimately this literary methodology is sometimes used as a proxy for ungrounded and, sometimes, unfair arguments by other scholars.